Flat panel displays such as LCD (or LED as they are incorrectly called in consumer products) are exciting, they have enabled a revolution after revolution in all manner of devices, but they are also exciting as a medium for art and self expression. 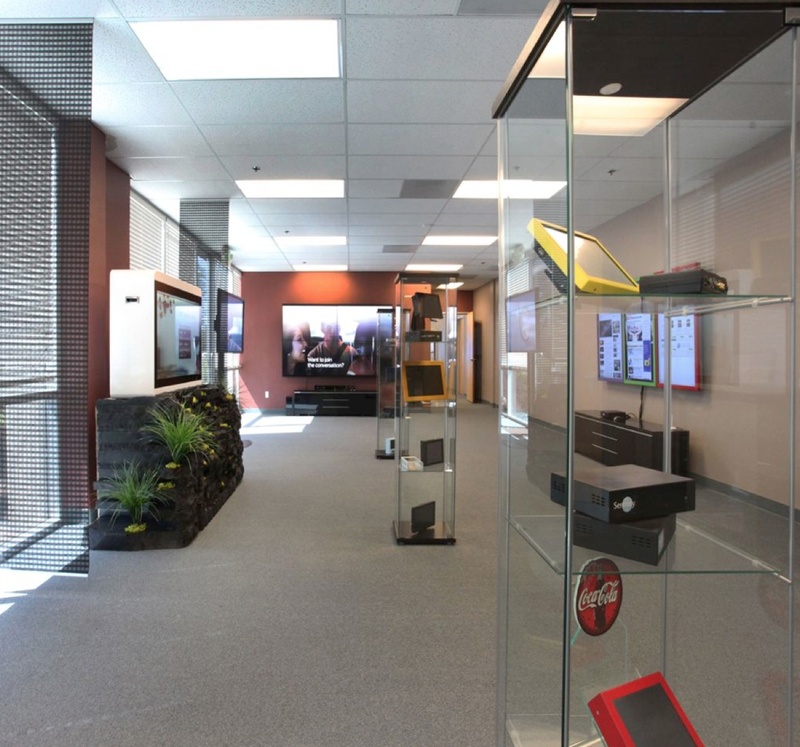 We put together a sizable showroom in our Morgan Hill facility where we design and assemble all our large screen display products as a venue for people to see some of what is possible. Our goal is to provide inspiration for video artists, display system users and developers alike. On show in September we have convex curved video displays, these look great with wide angle video footage such as may be taken with a GoPro Hero3, there are video-walls using near seamless ultra-narrow bezel displays, an LCD table which features the mesmerizing and omni-directional video art of Anne Spalter and more. Over the coming months we will be featuring even more so please come back for updates.